nine one five bistro and wine bar is located in this magnificent victorian house, circa 1906. 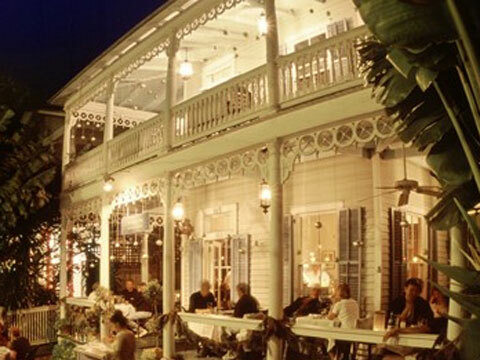 Today diners enjoy global tapas and a fantastic wine list overlooking Key West, Florida's main strip Duval Street. Our latest addition is Point 5, a late night wine lounge featuring 20 wines by the glass. We are also very proud to announce that our visit to the James Beard Foundations was a triumph! THE NEW YORK TIMES "What could be dreamier than a leisurely evening on the side porch of a dignified Victorian house, sharing a string of plates? Siobhan Greene and Stuart Kemp have created a winner with Nine One Five." WOMEN'S HEALTH - NOVEMBER 2007 "Essential Key West"